Hotel on Kaui still there ? Angela Lansbury was only 36? Sarah Lee Gates or Mr. Chapman? 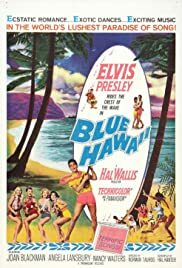 Bing Crosby's original 1937 version of "Blue Hawaii"
Angela Lansbury: Nice caboose, grandma!